Instagram will begin operating without an internet connection on devices that have the Android operating system, announced Facebook, the company to which the camera social network belongs, as part of the F8 developer conference in San Jose, California. Offline functionality will be available first on Android, and is expected to reach iOS later. This offline mode will allow users to access the application and interact, look at their timeline, “like”, comment, save publications or send messages, even when disconnected from the network, as reported The TechCrunch site. The “instagramers” can perform all these actions in “offline” mode and these will run once the device is connected again to the Internet. When we don’t have a connection and open Instagram, instead of showing all the blank boxes as was the case until now, we will be seen all the photos loaded, since the last time we entered having a connection. By default there are eight, but if we have loaded more that last time, we will have more. We can also zoom in on these uploaded photos as if we were online, we can leave our ‘Likes’ and comments as usual in these last photos, as the application itself will tell us when we do, that activity will be automatically uploaded once we have a connection, enter Instagram and update the cover. It is important to know that we don’t have to activate any kind of specific mode or function, since the app recognizes when you do not have Internet access by itself. In addition we have the possibility to take photos, edit and upload them using all the filters and editing features that are available in the regular way. The process is exactly the same, except that when you try to publish, the app will send a message: ‘Your photo has not been published’, and it will stay at the top of the screen with a reload button on which we can press once we have connection to finish uploading it. Instagram announced in an official statement that its Stories function reached 200 million users per day, beating Snapchat. Stories had already matched Snapchat (with 161 million active users) earlier this year. 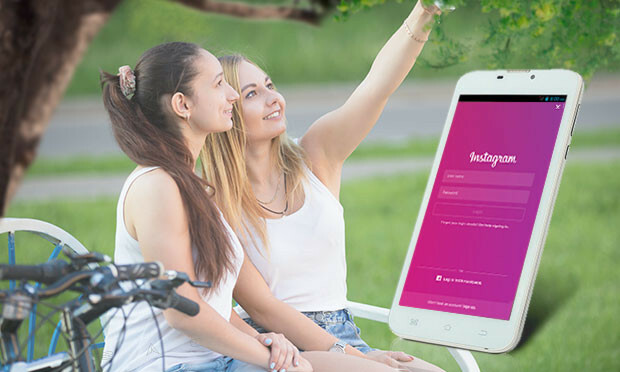 At the time of its launch in August last year, the Instagram function had a clear advantage: the social network of photographs already had a base higher than 500 million monthly users and, instead of separating the ephemeral stories into an independent app, they simply incorporated this function into the interface.